The tickets displayed on Loco2 are determined by the rail operators, and the price is dependent on the availability of your chosen train and fares. 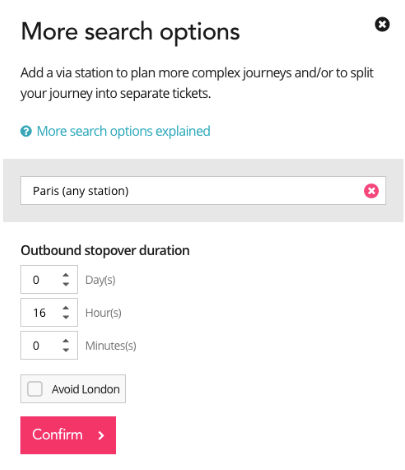 In this article we explain how to change your ticket type or class, view your fare conditions, and mix and match your fare types for journeys with multiple legs. 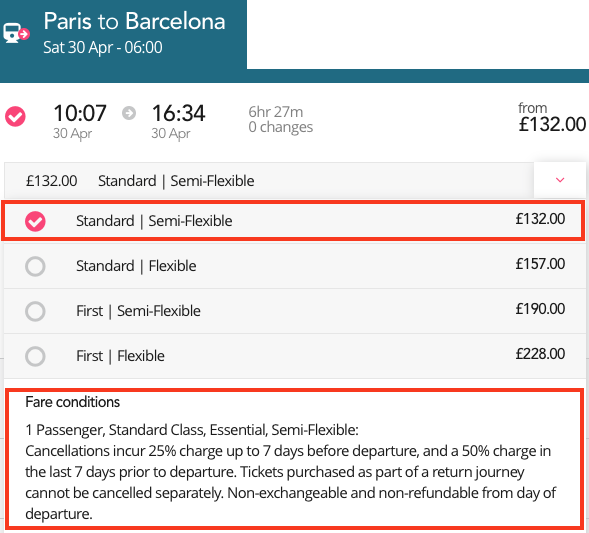 We automatically display the cheapest tickets available (these are typically Standard Class, non-flexible fares). If you wish to change your fare or class, click the drop-down menu next to the price and you'll see the available options. For specific information on ticket types and fare conditions, please see our Help article Ticket types: Fares & flexibility. If you search for a journey with multiple legs, you are automatically assigned tickets in the same class, e.g. 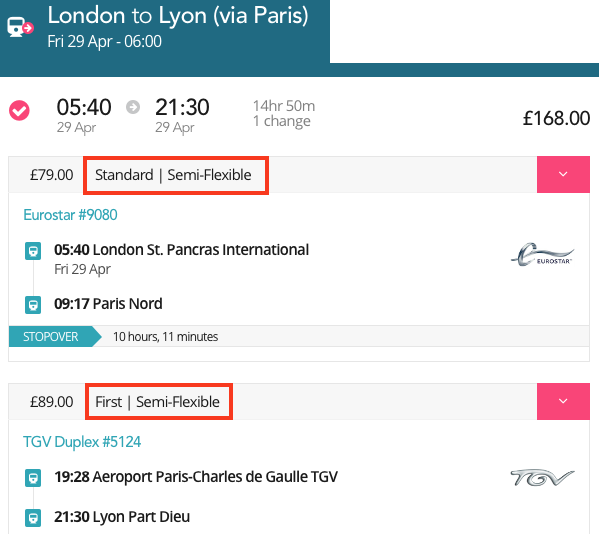 a search from London to Lyon will assign you Standard Class on the Eurostar and Standard Class on the TGV. However, sometimes it is preferable to split your search in order that you can mix and match tickets for different parts of your journey. This is called adding a stopover. 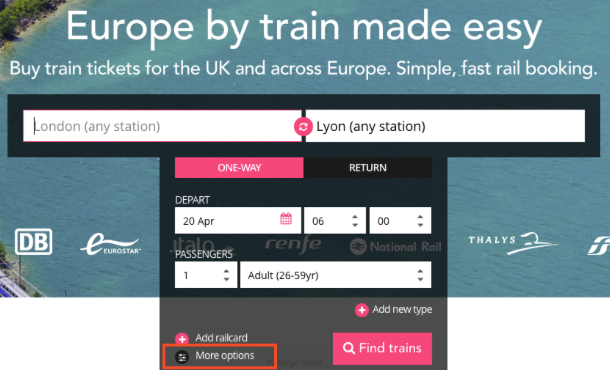 Stopovers are particularly useful for searches that involve Eurostar and a night train, as the system will automatically offer Standard Class throughout whereas you may prefer to travel in Sleeper accommodation on the night train (e.g. a double compartment rather than a 6-berth couchette) but are comfortable in Standard Class on the Eurostar.